3. Skin problems like allergic dermatitis, granulomas, or hot spots may respond well to acupuncture treatment because increased circulation can improve healing, while pain reduction will reduce a dog’s overgrooming or itching responses. But all of this is based on ‘experience’ (or probably more accurately, the wishful thinking of those who earn money by sticking needles into animals), not evidence! 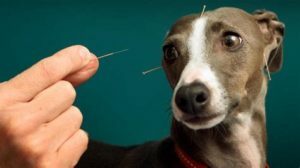 So, what does the evidence tell us about acupuncture for dogs? The answer is: next to nothing; there are almost no studies. And this is why this recent paper could be important. This new study was aimed at quantifying changes in gastric and intestinal emptying times in the conscious dog following gastrointestinal acupoint stimulation. The authors concluded that acupuncture targeted at the gastrointestinal tract of dogs was associated briefly with slowed gastric emptying and gastrointestinal transit time. This foundational study lays the groundwork for additional studies of acupuncture effects associated with altered physiologic states. There you have it: the proof has been presented that acupuncture works in dogs; and if it works in animals, it cannot be a placebo! Hold on, not so quick! This was a tiny study, and the effects are small, only temporary and of questionable relevance. It is possible (I’d say even likely) that the finding was entirely coincidental. I think, I wait until we have more and better data. These two quotes might give you a fairly good impression of Dr Alok Pareek. But why do I dedicate an entire post to him? 75 years of homeopathic experience by father and son from India are expressed in this book about the homeopathic cure of cancers. Based on excellently documented cases, it demonstrates how homeopathy is clearly superior to chemotherapy and radiotherapy. We experience how a cure is possible even for such a serious disease as cancer in advanced stages. 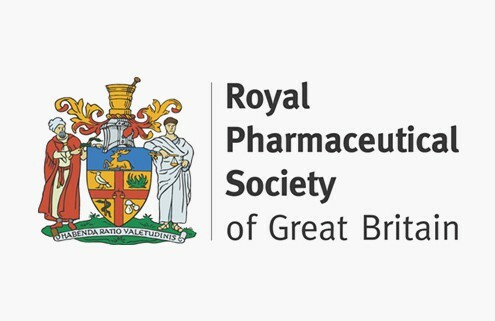 Dr D. Spinedi (Switzeralnd) estimates the immense experience of the doctors Pareek as ‘essential basic knowledge that should be accessible to all homeopaths’. It is a book that gives courage to both patients and therapists. Zusammen 75 Jahre homöopathischer Erfahrung von Vater und Sohn Pareek aus Indien mit Tausenden von Patienten finden in diesem Buch ihren Niederschlag in der homöopathischen Heilung von Krebserkrankungen. Anhand exzellent dokumentierter Fallbeispiele wird gezeigt, wie in klassischer Arbeitsweise die Homöopathie der Chemotherapie und der Strahlentherapie deutlich überlegen ist. Wir erleben mit, wie Heilung bei einer so schweren Krankheit wie Krebs auch noch in fortgeschrittenen Stadien durch Homöopathie möglich ist. Dr. D. Spinedi (Schweiz) wertet die immense Erfahrung der Dres. Pareek als “unverzichtbares Grundlagenwissen, das allen Homöopathen zugänglich sein sollte.” Ein Buch, das Patienten wie Therapeuten Mut macht! It is by Jove not often that I am speechless, but today, that’s exactly what I am. Having yesterday been to a ‘Skeptics in the Pub’ event on MEDITATION in Cambridge (my home town since last year) I had to think about the subject quite a bit. As I have hardly covered this topic on my blog, I am today trying to briefly summarise my view on it. lots of weirdly enthusiastic followers. What was confirmed yesterday is the fact that, once we look at the reliable medical evidence, we are bound to find that the health claims of various meditation techniques are hugely exaggerated. There is almost no strong evidence to suggest that meditation does affect any condition. The small effects that do emerge from some meta-analyses could easily be due to residual bias and confounding; it is not possible to rigorously control for placebo effects in clinical trials of meditation. Another thing that came out clearly yesterday is the fact that meditation might not be as risk-free as it is usually presented. Several cases of psychoses after meditation are on record; some of these are both severe and log-lasting. How often do they happen? Nobody knows! Like with most alternative therapies, there is no reporting system in place that could possibly give us anything like a reliable answer. For me, however, the biggest danger with (certain forms of) meditation is not the risk of psychosis. It is the risk of getting sucked into a cult that then takes over the victim and more or less destroys his or her personality. I have seen this several times, and it is a truly frightening phenomenon. In our now 10-year-old book THE DESKTOP GUIDE TO COMPLEMENTARY AND ALTERNATIVE MEDICINE, we included a chapter on meditation. It concluded that “meditation appears to be safe for most people and those with sufficient motivation to practise regularly will probably find a relaxing experience. Evidence for effectiveness in any indication is week.” Even today, this is not far off the mark, I think. If I had to re-write it now, I would perhaps mention the potential for harm and also add that, as a therapy, the risk/benefit balance of meditation fails to be convincingly positive. I highly recommend ‘Skeptics in the Pub’ events to anyone who likes stimulating talks and critical thinking.